Small clutches for use in copy machines, printers, and other peripheral devices. This one-piece assembly features a custom-molded gear or timing pulley designed to your specifications. Most clutches use a permanent magnet to disengage the armature when it is not in use. All clutches are bi-directional. 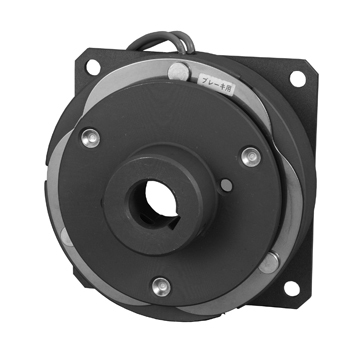 Clutch designed for general industrial use. 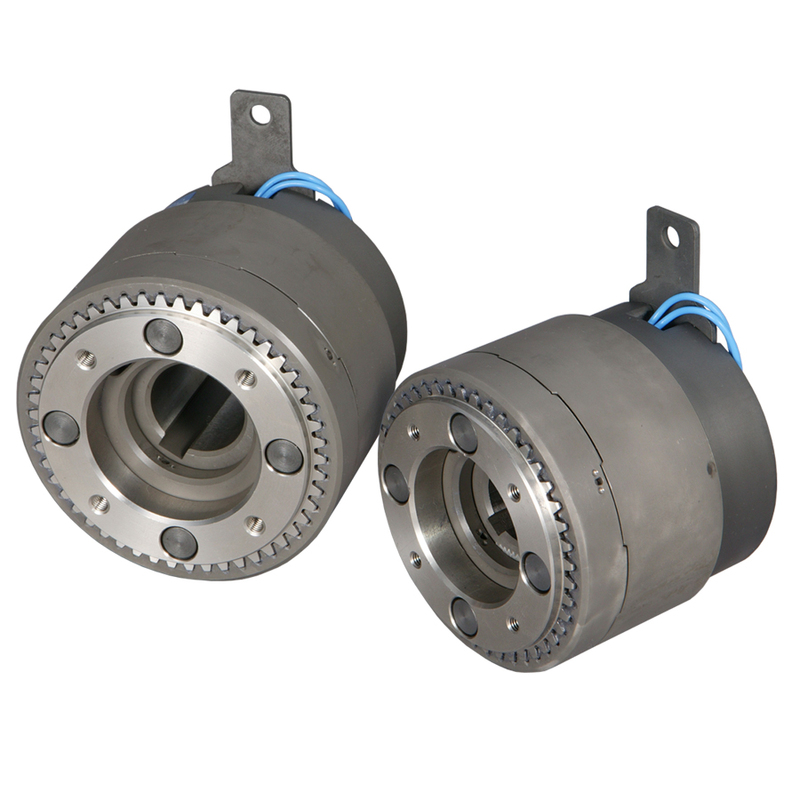 Clutches are designed with zero backlash armatures and a double ball bearing field support to provide longer life and better performance versus bushing style units. 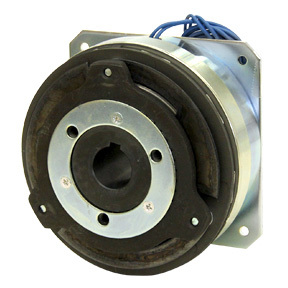 Brake designed for general industrial application units feature zero backlash, armature hub, and field assemblies that can accommodate bearings for additional shaft support. 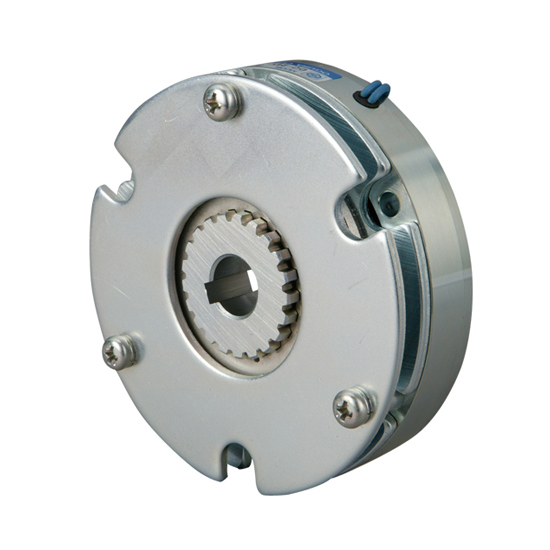 Clutch designed for general industrial applications. Units come standard with zero backlash armature. Units are normally produced in a high torque version but a lower torque is also available which reduces the overall length of the clutch by 15%. 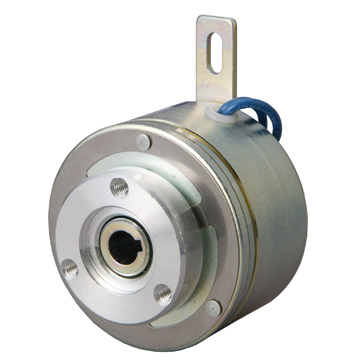 Options for this unit include an automatic air gap that adjusts as the clutch wears, a quiet armature option that reduces clutch engagement noise for application in hospitals or offices and a 1 piece designed option that simplifies mounting. 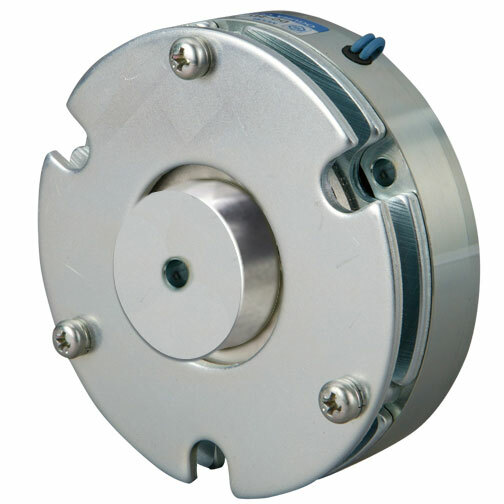 Brake designed for general industrial applications. Units come standard with zero backlash armature. Units are normally produced in a high torque version but a lower torque is also available which reduces the overall length of the clutch by 15%. 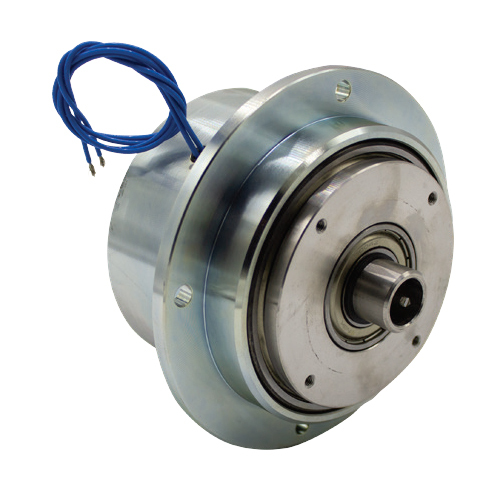 Options for this unit include an automatic air gap that adjusts as the clutch wears, a quiet armature option that reduces clutch engagement noise for application in hospitals or offices and a 1 piece designed option that simplifies mounting. 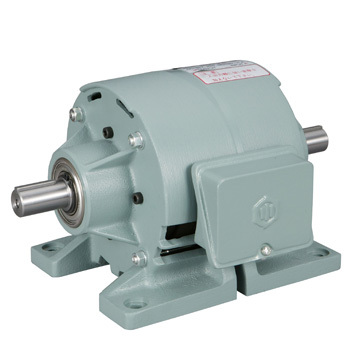 Brake is designed for general industrial use. Low inertia zero backlash armature can be bolted to your hub. 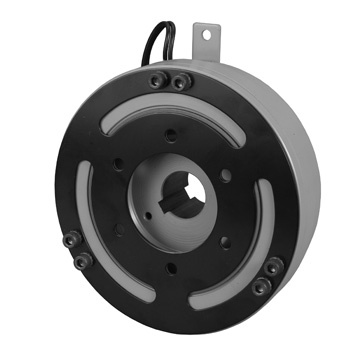 Brake can be supplied with internal or external hub depending upon overall length restrictions. Brake designed for general industrial use. 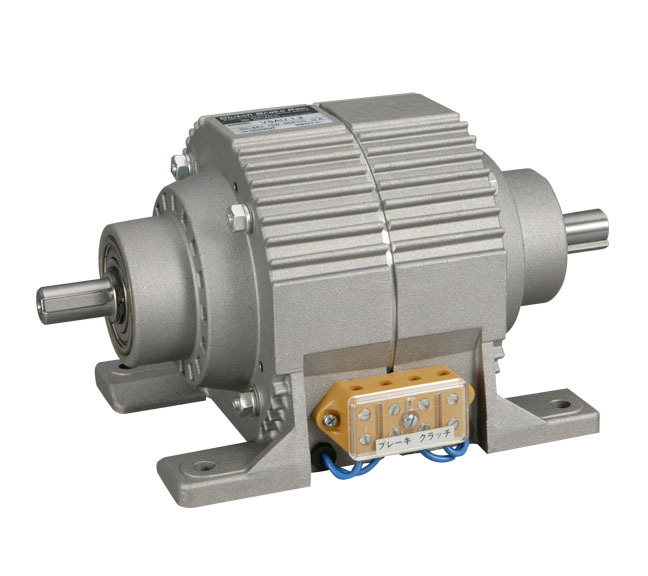 Suitable for high speed and high cycle applications. Brake has automatic wear adjustment mechanism which maintains proper airgap over life of the brake to maintain a consistent braking time. 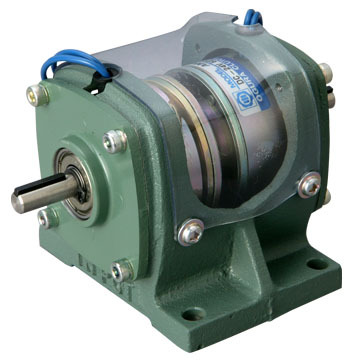 Clutch designed for general industrial use. Compact design with a thin overall profile. Zero backlash armatures can be built into custom hubs. 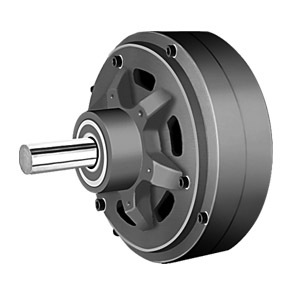 Clutches are available with bearing supported field or a (no bearing) flange field. 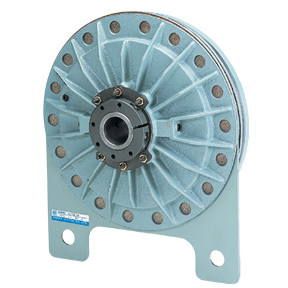 Clutch designed for general industrial use. 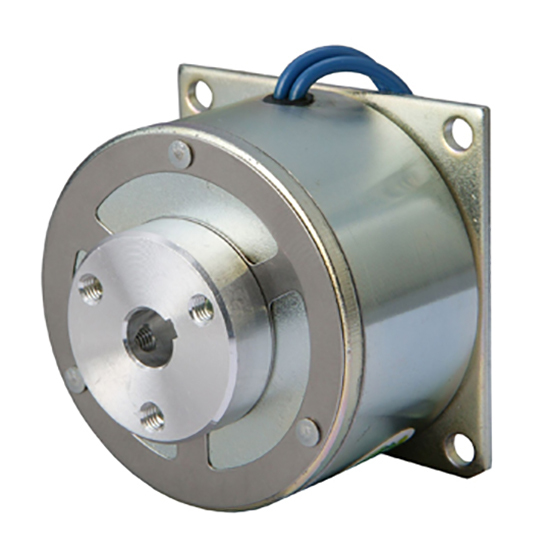 Suitable for high speed and high cycle applications. 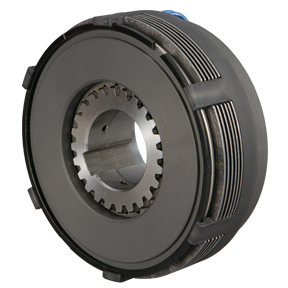 Clutch has automatic wear adjustment mechanism which maintains proper airgap over life of the clutch to maintain a consistent engagement time. 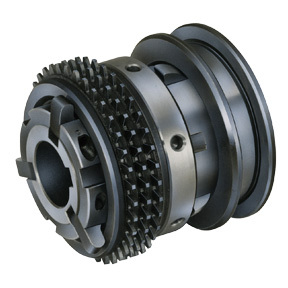 Heavy duty clutches best suited for marine and mobile applications. Bi-directional spring resists engine vibration and shock. 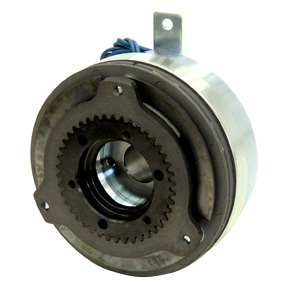 Output can be modified to meet your requirement, or clutch can be purchased with armature only to bolt into your hub. Clutch/brake units are designed for general industrial use. 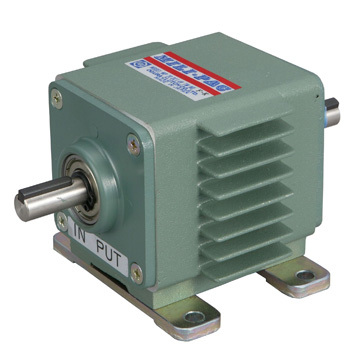 Unit features die cast housing with double bearing support on the input and the output shafts. Units come standard with zero backlash armatures but can be modified for high cycle applications using a zero gap armature. Modular simple 1 piece construction means no adjustments required. Clear plastic cover allows you to see inside the unit without having to remove the cover. 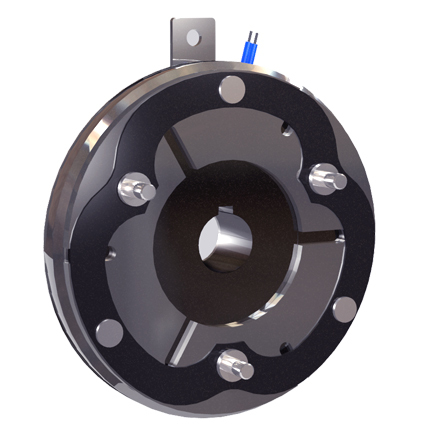 Clutch/brake combination unit designed for general design applications. 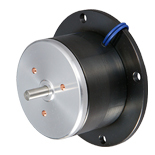 Both with input and output shafts have independent double bearing support. Housing includes external heat sinks for better heat dissipation and an easily accessible external mounted wiring block. 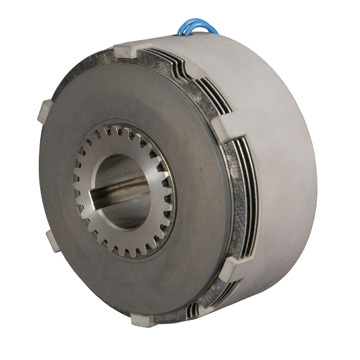 Combination clutch/brake unit designed for general industrial use. Housing contains through hole foot mounts for easy assembly and an easy shaft in and shaft out connection. Both shafts are double bearing mounted to accept heavy side loads. 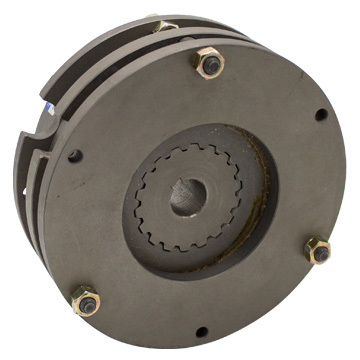 Clutch and brake armatures have automatic wear adjustments to maintain proper airgap settings through life of the unit. 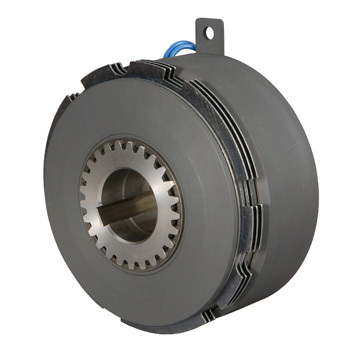 Clutch/brake units are designed for extremely fast response, a high cycles applications. Because of a special no gap armature design, there is no need to adjust for wear. Units are self adjusting and there is a consistent time to speed and time to stop. Low inertia components and low voltage fields allow for very fast response time. Small units are designed with finned housings to provide superior cooling. Additional friction materials like ceramics can be used to significantly increase overall cycle life. Clutch is designed for high torque small space environments where no slip is desired. Clutch can be used dry or in an oil bath. A zero backlash option is available. Zero drag torque when clutch is disengaged. Clutch is designed for high torque small space environments where no slip and only a single engagement position is desired. Clutch can be used dry or in an oil bath. A zero backlash option is available. Zero drag torque when clutch is disengaged. Small spring applied brake available with either D hub designs or set screws. Standard voltages are 24 and 45 but other voltage options are available. 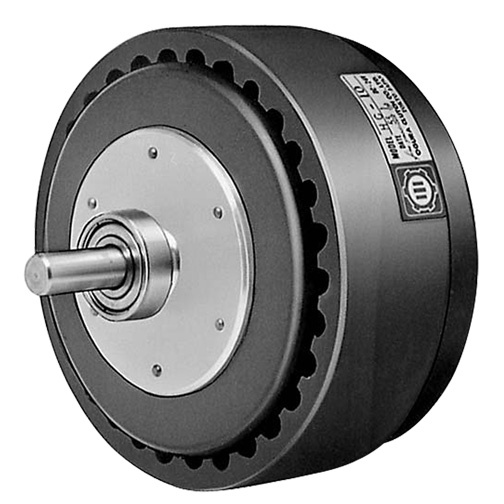 Units are designed to give 100% rated torque right out of the box. No burnishings required. 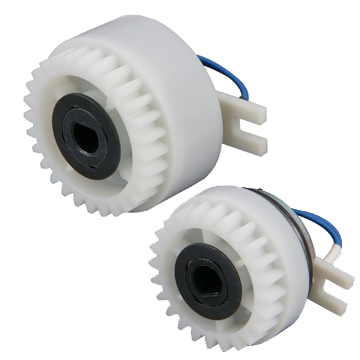 A small spring applied brake with a very thin profile which is mainly used for robotic and ball screw applications. This brake does not come with a hub so customers have flexibility with integrating the brake to their machine by providing their own hub. 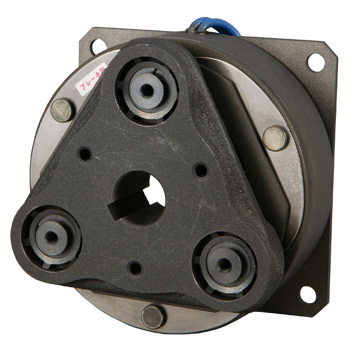 Spring applied holding brake designed for general industrial applications. Unit is used for holding only and has special zero backlash armature. Very thin brake profile provides a compact package. Braking force is produced via springs so basic fluctuations in voltage and temperature have no effect on the brake. Long life friction material allows for many trouble free cycles. Standard voltages are 24 and 90 volts. Other voltage options are available. Spring applied holding brake designed for general industrial applications. Unit is used for both stopping and/or holding. Very thin brake profile provides a compact package. Braking force is produced via springs so basic fluctuations in voltage and temperature have no effect on the brake. Long life friction material allows for many trouble free cycles. Standard voltages are 24 and 90 volts. Other voltage options are available. 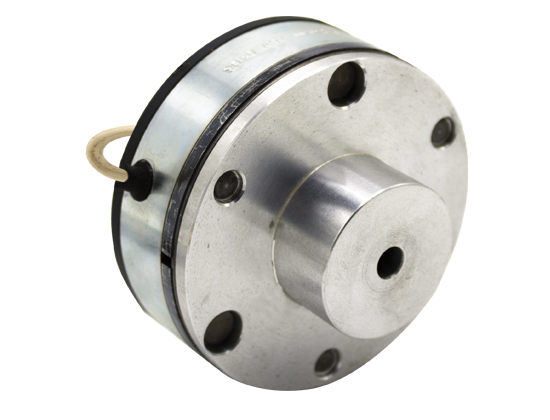 Spring applied holding brake designed for general industrial applications. Unit is used for holding only. Very thin brake profile provides a compact package. Braking force is produced via springs so basic fluctuations in voltage and temperature have no effect on the brake. Long life friction material allows for many trouble free cycles. Standard voltages are 24 and 90 volts. Other voltage options are available. 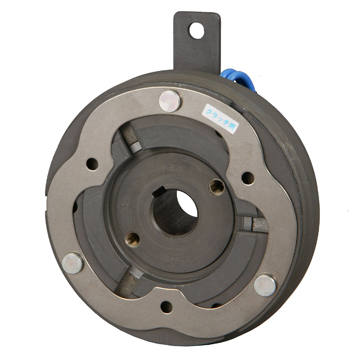 Spring applied brake used for industrial applications. Units are designed for stopping and/or holding. MNB units 1.2 and higher have adjustable torque feature. Torque of the brake can be fine tuned by you to fit your exact needs. Bolt holes for manual bolt release included on standard units. Optional manual lever releases available by special order. 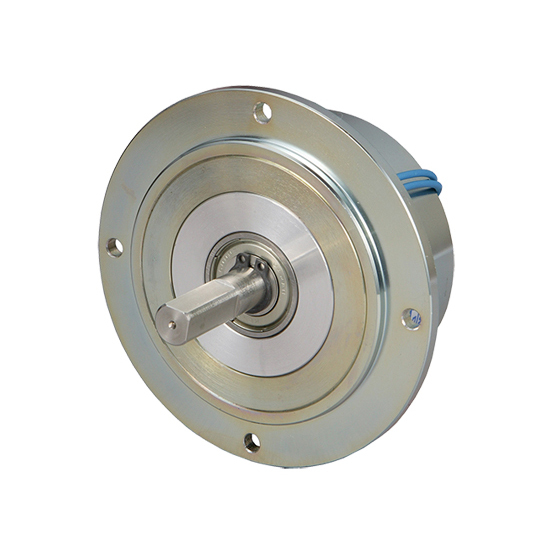 Permanent magnet brake designed for industrial and mobile applications. 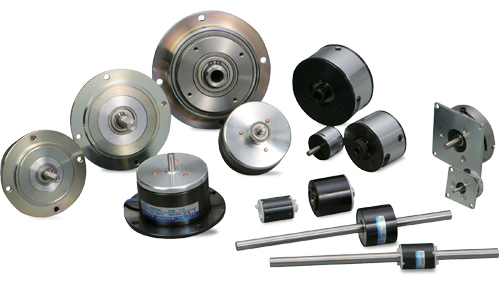 Brake force is produced via magnets which reduces both size and weight of brake versus spring applied brakes. Armature is mounted via springs which eliminates backlash. 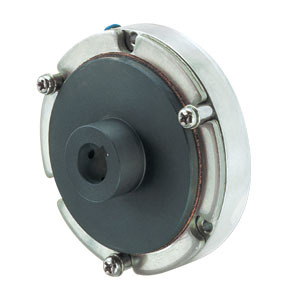 Standard brakes can accommodate temperatures up to 140deg C. Brakes can be tuned to provide a controlled stop. Output assemblies easily modified to fit your application. 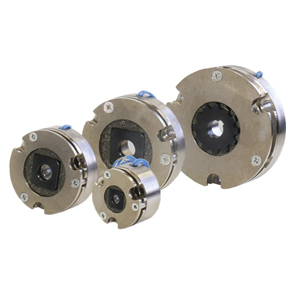 Multiple disk clutches designed for high torque small space environment. Multiple disks produce high torque in a compact design. Separate drive cup allows for easy connection to your gear or pulley. Multiple disk brakes designed for high torque small space environment. Multiple disks produce high torque in a compact design. 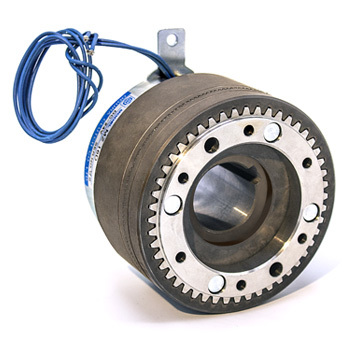 Multiple disk clutches designed for high torque small environment. 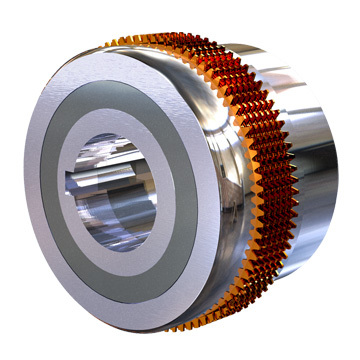 Clutches are designed to work in oil Multiple disks produce high torque in a compact design. Separate drive cup allows for easy connection to your gear or pulley. Special oil path grooves in the friction plastes allow for quick engagement and response time. Because clutches are used in oil lubrication they have excellent heat dissipation. Multiple disk brake designed for high torque small environment. Brakes are designed to work in oil. Multiple disks produce high torque in a compact design. Special oil path grooves in the friction plastes allow for quick engagement and response time. Because brakes are used in oil lubrication they have excellent heat dissipation. 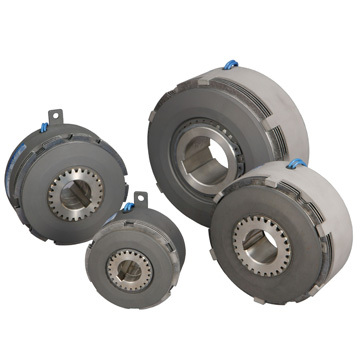 Multiple Disk Mechanical Clutches Designed for use on industrial equipment. 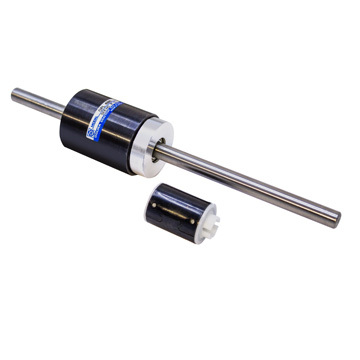 High torque in small size makes them ideally suited for applications where space is a premium and the actuation method needs to be done mechanically. Multiple disc pneumatic clutch/brakes designed for in plant industrial use. Multiple disc units provide efficient torque to size ratio. High heat dissipation makes them ideal for punch press applications. Wet type multiple disc hydraulic clutch that is made to be run in an oil bath application. 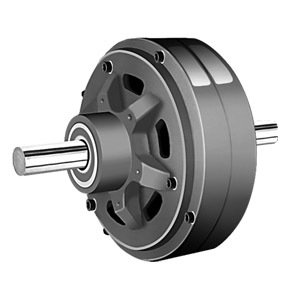 Multiple discs provide high torque in a small size. Since the torque is transmitted via oil shear on friction discs. Heat dissipation is very effective which leads to long life.